Ok, I’ll be honest. There’s not a ton of research or information about survival tips for the elderly and disabled. And you know what? I think that’s a crying shame. 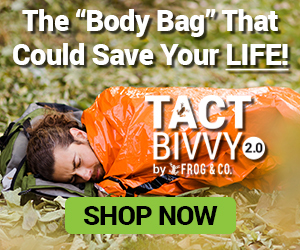 Whether you’re 4 or 104, handicapable or not, we here at Survival Frog believe everyone deserves their best chance for survival and preparedness. Plus, even if you are not elderly or disabled now, there’s a chance you will become the former (if you’re lucky) and a chance you could become the latter during a disaster. Either way, this is incredibly useful information to prepare with ahead of time (and crucial to share with others that are elderly and/or disabled). Believe it or not, there’s a variety of ways you can prepare for a crisis if you are elderly and/or disabled. Keep in mind, it’s best to start implementing these now, so that you aren’t panicking and you have a clear head if a crisis does occur. Arm Yourself – Even if it’s with pepper spray, a gun, or even a pocket-sized hairspray bottle, using what you have for self-defense is better than having nothing at all. In an emergency situation, these will help deter anyone you don’t want coming near you. Have An Exit Plan – Regardless of where you’re living, you need to be aware of at least two different exit routes you can use to escape in an emergency. You also need to have a safe place to go to when you leave. Know these routes and communicate them to friends and family so they know how to help you get out if necessary. Get A Disaster Kit – This is absolutely vital for your preparedness – the success of your future depends on your preparedness for it. Your disaster kit should include (at least) the following: cash, food (especially cans and those that don’t spoil easily), water, an extra pair of glasses, first-aid items, batteries, warm clothing, sturdy shoes, a cell phone, pens and paper, maps of the area, a one-handed can opener, a rugged wheelchair/canes/crutches (as needed), and an alarm that has a bright light and/or vibrates. Know Your Area – The better you know your area, the more prepared you are if a crisis hits. What are the most common disasters (fire, tornado, hurricane, etc.) that happen in your area? What is the safest place you can go to in such an event? Where are the nearest gas stations? How about restrooms, foods, and possible shelters? Where’s the nearest fire department and police office? Where do the closest people live that could help you if needed? Do you know your way around town? Asking yourself these questions and getting to know the neighborhood and city you live in works wonders in a crisis – after all, you’ll want a clear head and be able to be alert if something should happen. Communicate Your Needs – Make sure your loved ones and neighbors know about your medical and physical needs so that they’re prepared. Also, be sure to have physical cues as to what you need around your house. This includes: labeling your canes/wheelchairs that you’ll likely need, having notes on the fridge of where important things are located around the home, and wearing a bracelet (or other medical alert tags) containing short information about your medical needs/status (such as “I am diabetic”). In a medical emergency, this will help keep your safety a top priority. Belong To A Group – One of the most comforting ways you can prepare for a catastrophe is to know people that are dealing with the same situation you are. Do you have friends/family with your disability (or something similar)? Do you have neighbors that are your age? If not (or you just want to know more people), belonging to a disabled/elderly survivalist group could be the perfect option. Knowing other like-minded people that understand your situation and that can help is critical to not only survival, but your well-being as well. Learn A Skill – In a critical situation, it’s important to remember that everyone can do something to survive – so it’s best to start honing those skills now. It helps to know what you’re interested in learning more about (such as first-aid, fire starting, fixing broken equipment, mending clothing/shoes, sewing, etc.). and then researching ways to improve that skill. Already have a skill? Great – share your knowledge with others. Write Down Important Phone Numbers – Don’t risk relying on your memory for important phone numbers in a SHTF situation – after all, it’s during these moments that your brain goes into panic mode and “freezes.” Instead, write down emergency phone numbers (such as those of neighbors, friends/family that are close-by, hospitals, doctors, etc.) and post them to your fridge (as well as to the fridge of the elderly/disabled person). Also, if they require physical assistance like a cane, wheelchair or from any medical devices (like pacemakers) keep a list of them and their operating instructions on-hand. Check On Them Periodically – This goes without saying. Oftentimes, situations arise out of the blue and leave the victim unable to warn others. Call them periodically and check in. Not only will you be helping ensure their safety, but you’ll also be keeping communication going as needs arise. Help Them Prepare – This is a great way to learn about survival prepping together. Help them plan escape routes, gather supplies, and educate each other about safety preparedness and proper food/water storage. Putting together a survival kit with them is also a great way to ensure that all medication, clothing, etc. makes it into the bag. Make Copies Of Important Documents – This includes Medicare cards, a list of doctors, medical insurance, and styles/serial numbers of medical devices (such as pacemakers). Share these with family and friends. A little extra work now may save a lot of stress and anxiety later. Remember, if a catastrophe does occur, it’s often the body’s natural response to freeze, panic, and forget. Prepping as much as you can ahead of time will help to ensure that all parties are as comfortable and calm as possible. 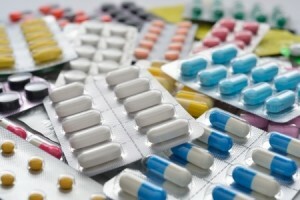 Put All Your Meds Together – Oftentimes people have more medication than they realize; either they forget they have some already and buy more, or it’s so spread out over the house that they don’t realize how much they have. Search your entire house for medication, and put all of it in a safe place so you have a full inventory count of what you already own. Start Building A Stockpile – Use the above pile to start a reserve of medication to keep handy. After all, you don’t want to worry about purchasing new meds in a crisis. Add to the pile as you can, and keep it in your survival kit for emergencies. Know Your Herbal Remedies – In a survivalist situation, you’ll often find yourself needing to use what mother nature gives you. That’s why it’s essential to have knowledge of naturally healing weeds and plants (especially since it’s tough to find a Walgreens in the wilderness). Find Alternative Forms Of Power – Be sure to do this now, while the lights are all working. Possible forms of power include generators, solar chargers, etc. Find the ones that work best for you and your home, and know the ins and outs of how they work. 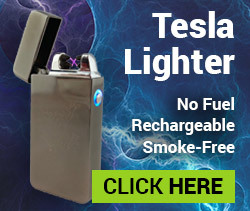 Stockpile Batteries – This is especially true for things like hearing aids and flashlights. When you’re in pitch black darkness, you’ll need full use of every sense to stay alert. Without a doubt, one of the most critical things to have access to in a power outage (or any survival situation) will be your medication. No matter what, you need to ensure that your meds (or those of friends/family) are stored properly, especially types (like insulin) that need to be refrigerated. This is a step that you CANNOT AFFORD to skip (for your sake and the sake of your loved ones). Thankfully, we’ve considered this too and we’ve come up with the perfect solution: our FRIO Insulin Cooling Case. This ingenious device is an absolute must for diabetics and anyone needing to keep meds consistently refrigerated. 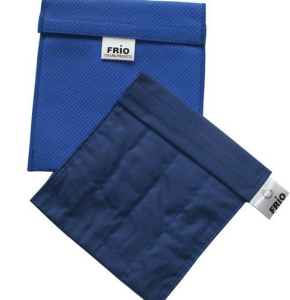 This pouch uses no ice (so no need to worry about leakage) and it keeps its contents cool for up to 45 hours, even if outside temperatures reach over 100°F. 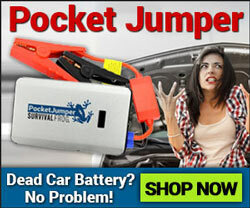 Plus, it’s lightweight, portable, super versatile and can be used for power outages, traveling (TSA approved!) and any time you’re needing a convenient, on-the-go way to store your meds. Nobody should ever be without the medication they need to survive, and with the purchase of this pouch, you know they’ll never need to. This entry was posted in Emergency Preparedness, Emergency Survival, Family Survival, Natural Remedies, Prepping, Self Defense, SHTF, Survival Checklists and tagged bug out bag, bug out bag essentials, DIY Survival, diy survival tools, food storage, how to make a bug out bag, medicine, self defense weapons, survival, what to put in a bug out bag on April 2, 2016 by Survival Frog.